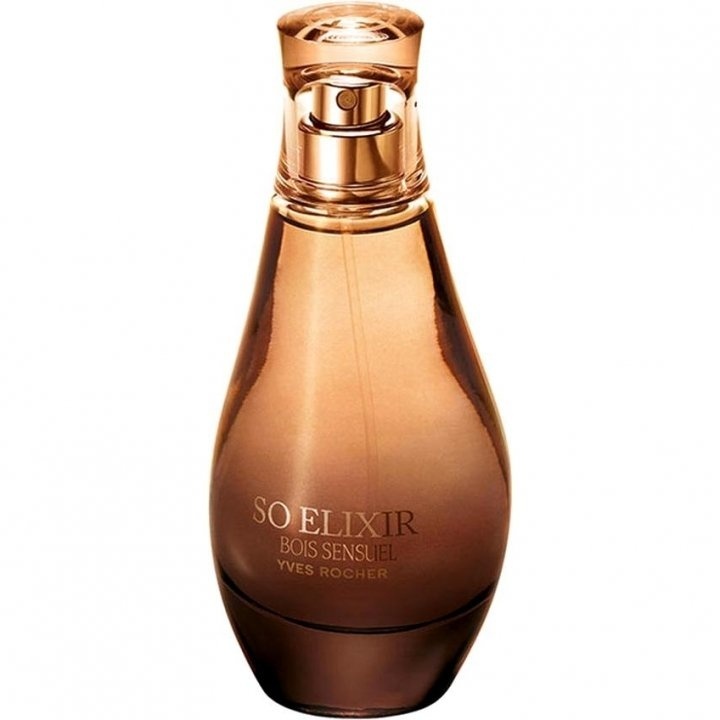 So Elixir Bois Sensuel is a perfume by Yves Rocher for women and was released in 2015. The scent is sweet-oriental. It is still in production. I'm not a reieselustig, but a side trip to Iceland I would like to dare to walk in the footsteps of the elves and trolls. I'm sure the soft Bois Sensuel will show me the way to the tempting forest bakery, where the gnomes eagerly bake magic cookies. A vigilant shrew monitors her do -and d´sie adds a handful of stardust to the wooden bowls here and there. A chubby troll eats a cookie - turns ad hoc into an attractive prince a la Tom Hiddleston - and gallops on his snow-white grey horse towards an enchanted castle in the fog. I taste the biscuits, too, and I'm as beautiful as Snow White. My fiery black horse outstrips the Beau - because I want to be in front of him on the fairytale castle, and receive him with my endless hair and wrap him up. Patchouli and vanilla will bewitch Tom - and the iris will make him willless. What a beautiful birthday ! I discovered this perfume through my mother and got to know it. She knew that I love vanilla fragrances and ordered me a bottle because it was on offer. She bought it for me because I passed my exam and got a good report card. When I got this perfume I was very happy about it and opened it and sprayed it on my scarf and very lightly on my wrist. On my scarf you could perceive it better and stronger it smelled very creamy, smoky and vanilla. On my skin it smelled very spicy at the beginning after about 2-3 minutes, then one smelled the vanilla which was very present and pleasant. Patchoulie I took the time then also more clearly on my skin. I took Iris I then completely, completely easily perceived which one smelled only with light body contact. For me this fragrance is very successful and also very good! It also brings a bit of Christmas atmosphere which makes this fragrance even more pleasant and beautiful:). In winter I wear it very often because it is well suited. I also used it once in summer because I missed it very much and on warmth this scent reacts very strongly not in the negative sense but in the positive (for me anyway) it is more present and it sticks then also very on the skin and it holds better. I got many compliments for this perfume because it spreads good mood. My last words about this fragrance I think men can wear this fragrance very well because it is not so feminine. What do you think of that?